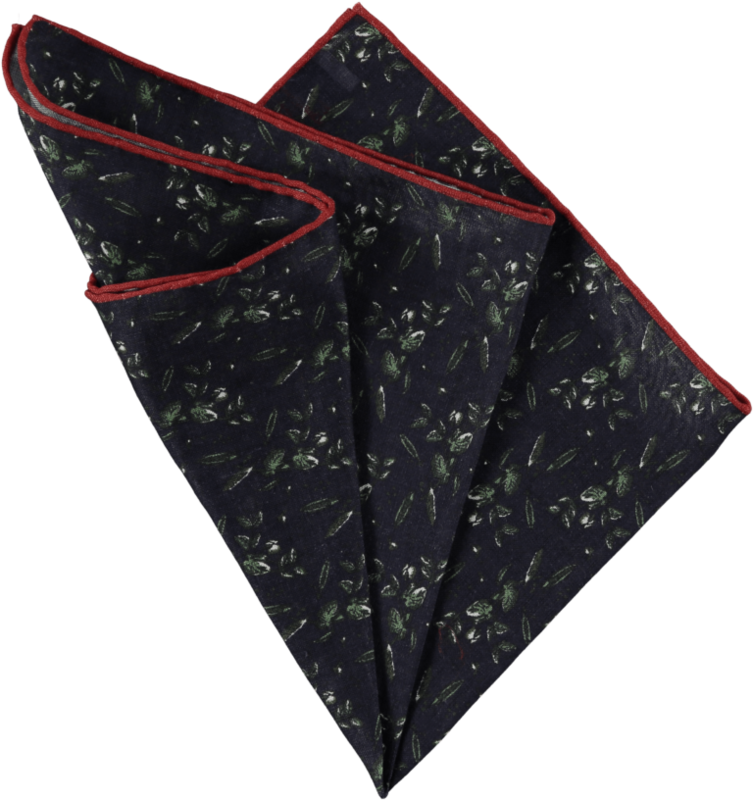 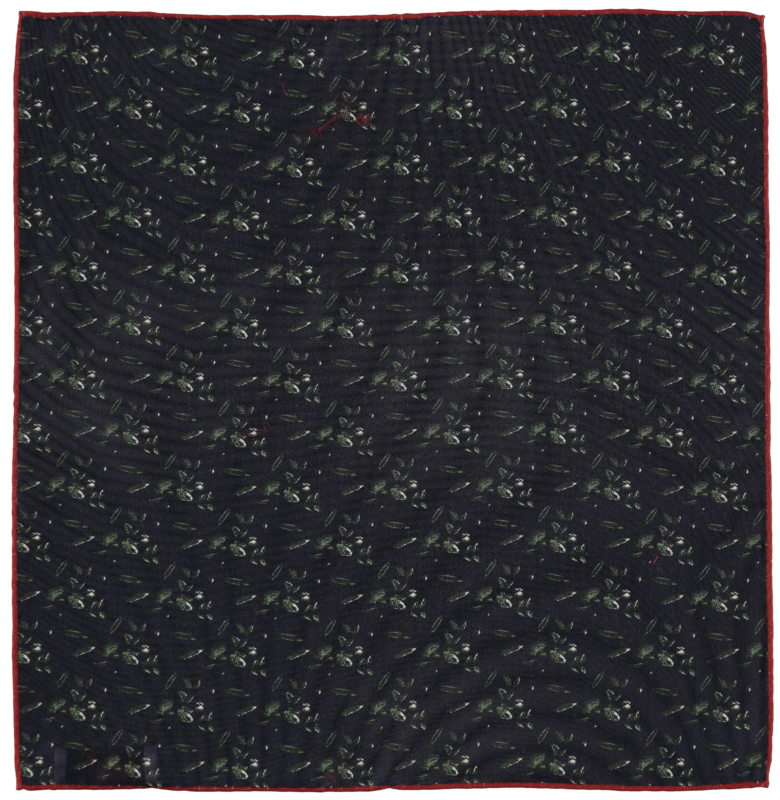 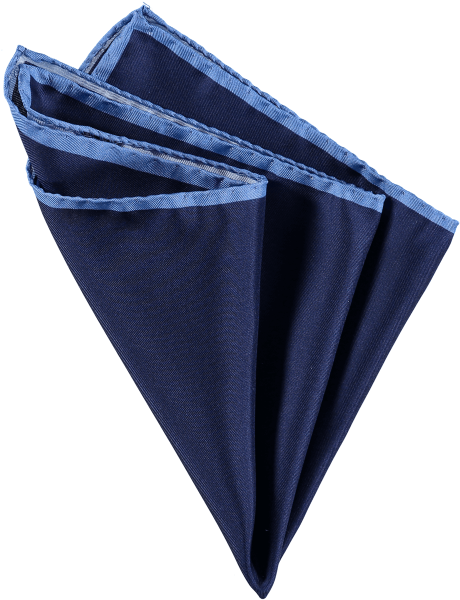 Wool/silk floral pocket square in navy blue with green and white accents and a red contrast border. 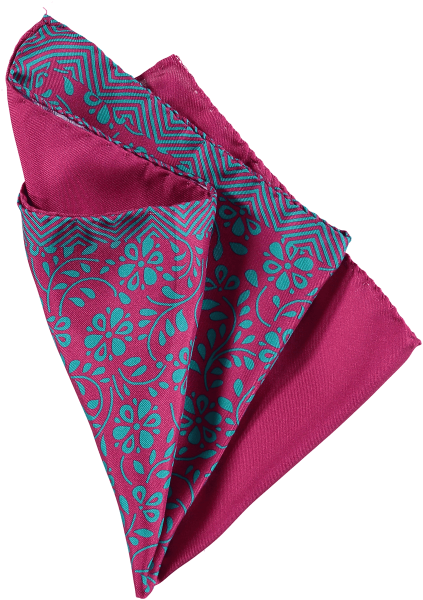 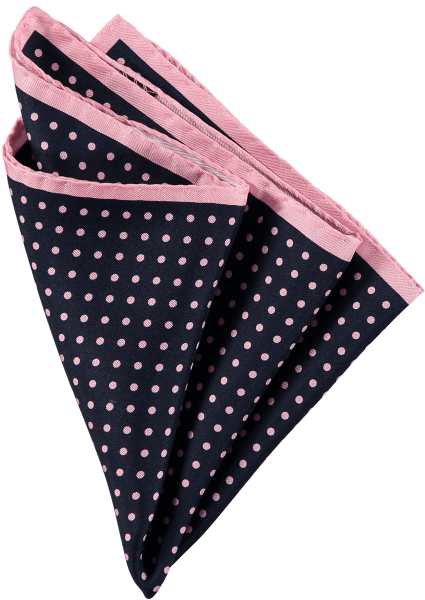 A wool silk blend pocket square printed with a delicate sweet pea motif. Hand made in England, in navy blue with green and white accents and a red contrast border. 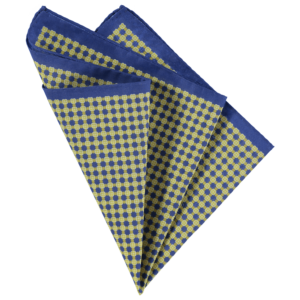 Wear with casual blazers and business suits alike, puffed to show off the pattern or neatly folded to display the contrast border.